I know that two men are coming up the mountain, at this moment, including the boy from far away. I wonder what my grandson’s face will look like…This is a boy in the skin of a man…I know the boy is innocent, that it’s his family soul which is guilty. 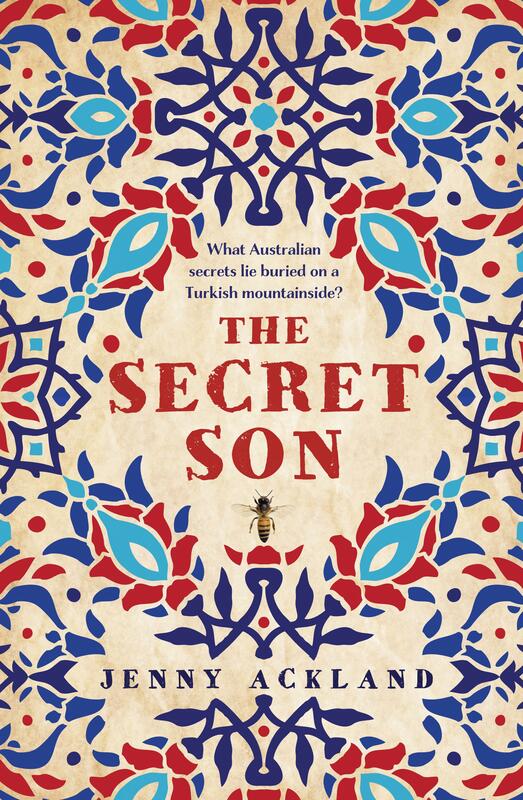 The Secret Son weaves two stories that continue to shape the Australian psyche with an underbelly of rebellion and republicanism. What if Ned Kelly had a son who fought at Gallipoli and remained after the war? Does it matter if it’s untrue? Jenny Ackland’s debut novel cleverly guides us into that space of suspension of disbelief where truths in fiction question the very essence of truth. James Kelly is raised by his mother to lead a simple life and told not to ask questions. Arriving in Melbourne from country Victoria, he quickly grows from a bee-keeping farm lad to a bookish newspaperman and is soon off for the Turkish front. It is 1915 and he is determined to stay alive and kill no man, but his fate is determined by a fond heart and an unexamined past. Readers will wrestle with this in a parallel narrative, largely set in the Turkish village of Hayat during the mid-1990s. The book opens with young Cem travelling from Australia searching for his family roots in Turkey. As it turns out, he meets a history professor setting out for the same village. Ackland draws the plot with finesse as the narrators move through time. Spanning a century, there is a tiny element of Marquez’s One Hundred Years of Solitude, where the all-knowing and mystical Aunt Berna sees fortunes in the beans or wishing-trees. However, while the village scenes are the most enjoyable, there is also a slight reminder of Christos Tsiolkas’ hauntings in Dead Europe where a man returned to a village with a family curse. But in Cem’s case there is a debt to repay and a history to unveil. While the Kelly story remains prominent, it’s a great hook and leaves plenty of space to explore the power of fiction and the truths it reveals.